Krzysztof Siatka: Is it possible to show the mechanisms that are at play when evaluating an artwork? Kris Dittel: And also to show what kind of values an artwork carries and deals with? KS: Shall we investigate this topic from an artistic point of view? KD: Is it even possible to make a survey of artistic approaches that deal with all kinds of values? Wouldn’t that be a lifelong project? KS: It would, but I don’t see that as a reason to stop! Imagine an exhibition about this issue! KD: So tell me, where to start? What kind of value comes to your mind? KS: It seems to me that we can talk about two main kinds of value: monetary and symbolic. For me, more interesting is of course the symbolic value. KD: But can you separate the two? Of course, good old Marx has already taught us the difference between use value, bound to a concrete useful thing, and exchange value, that is an abstract socialist category. Even though I think it is impossible to isolate monetary and symbolic values, I would like us to focus on interrogating their mutual relationship and the way they are produced. KS: No, you cannot separate them, but the mechanism of monetary evaluation of art is more visible and easier to understand. It can also be easier to create a work inspired by it. KD: Perhaps the most obvious definition of value that comes to mind is the economic one. Something that is quantifiable and measureable. At the same time, when you think about art and the art market, its mechanisms are vague and confusing. Of course, there are monetary measures involved, but other components—symbolic, cultural, ethical et cetera—are also employed in the creation of value. KS: For me, everything there was to say about the monetary value of art was expressed by Yves Klein in his action Zone de Sensibilité Picturale Immatérielle [Zone of immaterial pictorial sensibility] (1959–1962). 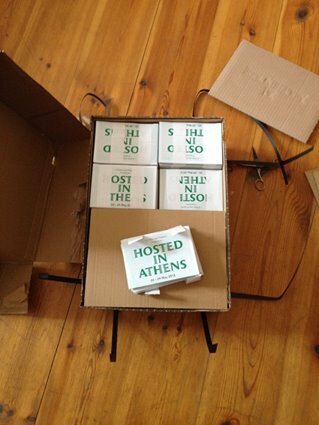 The work involved selling a proof of ownership of an empty space, taking the form of a cheque, in exchange for gold. If the purchasing party wished, the piece could then be completed in an elaborate ritual that would consist in the buyer burning the cheque and Klein throwing half of the gold into the Seine. KD: That’s an amusing example! Also, it very well illustrates the idea that value is after all the greatest capitalist category—the lens through which everything, all social relations and objects get evaluated. KS: Shall we start and try to look into topics and mechanisms which could be described as reasons to evaluate? Maybe the age-old idea of an artwork as a monument could be a nice and inspirational starting point for further discussion ? KD: Do you have in mind the way an artwork gains importance, or becomes valued, because it carries some kind of historical significance? KS: Exactly! The commemorative function of an artwork, one of the oldest reasons for creation, is visible until today even on the streets full of monuments. Unfortunately, this language of artistic expression, which has its origins in the 19th century’s realism, is usually anachronistic. The most recognised monuments could be phenomenal artworks and inspire us to better understand the world. Usually, however, the event or person that is commemorated strongly influences the evaluation of the sculpture or painting that honours him or her. It’s hard to find a lot of examples where the form of the artwork is really related to the commemorated person, place, et cetera. This is obvious, and another aspect is even more interesting to me, one which also follows from this commemorative function. Don’t you think the work of art as a monument, with all the paradoxes I suggested before, disclaims the notion of ideological independency of art? KD: Rosalind Krauss wrote in the 1970s that the logic of sculpture is inseparable from the logic of the monument. In that sense, a sculpture is always a commemorative representation; it has its particular place and speaks a symbolic language. Since then many artists have challenged the idea of sculpture, its materiality and language, yet I can still relate to this original statement. And perhaps it is also possible to expand this idea to a larger domain of art. Of course, when we think of monuments, the first thing that comes to mind is large public sculptures, commemorating historical figures and events. And with time, they often lose their relevance, or the original meaning gets forgotten. KS: Even the examples of conceptual art function as monuments today. Could you describe an artwork that carries such features? KD: The photographic installation of Gert Jan Kocken titled Judenporzellan examines the coerced purchases of decorative porcelain figures from the royal porcelain factory under Frederick the Great, king of Prussia, in the late 18th century. In order to obtain certain certificates and enjoy civil rights, the Jewish population was forced into buying the porcelain ape figurines; allegedly one of them belonged even to philosopher Moses Mendelssohn. KS: Such examples of works show a cognitive problem. I think I could describe it as: the impossibility of separating the evaluation of the work itself from the evaluation of the idea that determined its origin. I mean not only the idea invented by the artist but also the inspiration they found in reality. KD: I don’t think that separation is even necessary. Judenporzellan consists of large photo prints, a human-scale representation of the ape figures, a booklet with items of information about their history, and stacks of posters that visitors can take with them. These images, visually very compelling, may end up in someone’s room as a poster and become a private companion. And at one point one may recall the story and contemplate it. The work deals with a complex historical narrative, but it has the potential to enter a more private sphere. KS: Consider the idea of a monument also in the case of more personal events, when the relation between the thing being commemorated and the individual is closer. A way to deal with, or even exorcise personal history? KD: Do you have in mind artworks with personal narratives, which can lead us to think through the notion of an artwork as a monument? KS: Sława Harasymowicz prepared for us an installation called 12/6. It is a reflection over a place where she spent a few years in her childhood. The project documents the transformation of the structure of an apartment. The artist talks about it using many languages: drawing, graphic art, photography, Morse code, several short poems, et cetera. In this way the story becomes more and more saturated, but not more communicative. The spectator is not able to read the story of her life, only to experience the entropy inspired by her early years. The private monument of her story remains in fact silent to the audience. KD: Could you elaborate on where you see the question of creating and perceiving value in this respect? 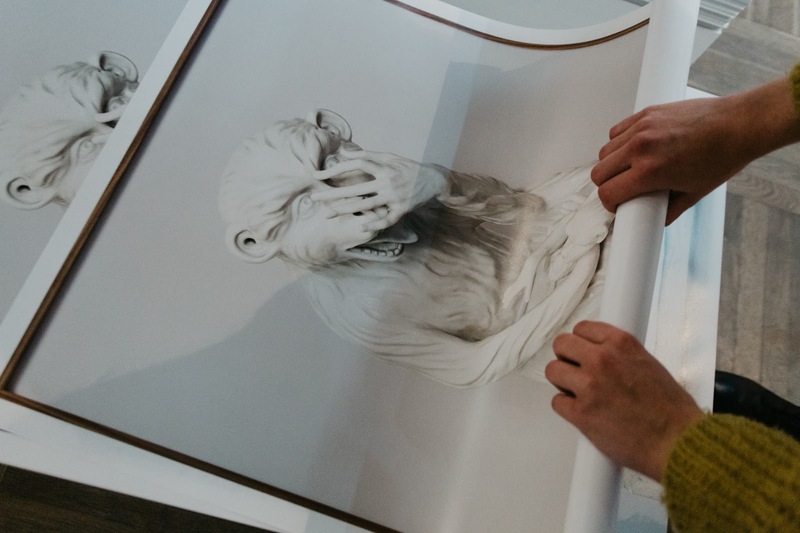 Is it about a reflection of personal or subjective values when encountering an artwork? KS: Sure, let’s get back to the topic. I like to imagine an artwork’s form as a kind of gatekeeper that is preventing the full understanding of the plot. The communicative power is an important distinction to consider. The communicative power is an important distinction to consider. It seems to be one of the possible ways to understand the heritage of the early avant-garde and later art. For my private view on the 20th-century and contemporary art history, an important contribution is also contained in the expression “art is a lie” by Picasso. These points of view determine further questions to ask: “Who’s lying?” and “Who’s lied to?”. Paradoxically, such an order could give supremacy to the spectator, who is of course fooled. She or he is probably more important to us, because each exhibition is prepared for an audience, whose reaction in turn determines our work. Certainly a person who knows and has the tools to interpret is privileged. KD: I’d like to complete your Picasso quote, and that may also answer some of your doubts. As far as I know, the quote says in full: “art is a lie that makes us realise truth, at least the truth that is given us to understand”. I interpret it as a way to express that art only imitates reality, yet by doing so it also has the potential to unveil some otherwise obscured thuths. And that may lie in the objecthood of an artwork, in its communicative power, and so on. 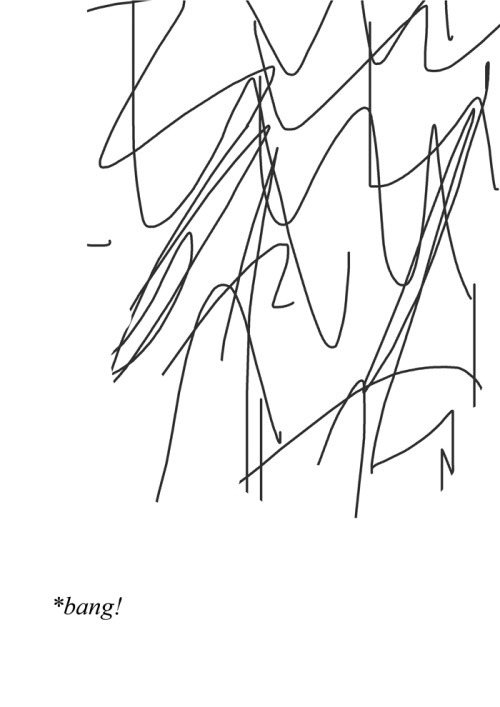 KS: You’re right. At the same time you pointed out how quotes and cliches work: in isolation from the context and sometimes incomplete. There lie the roots of incomprehension. To me, the only inspirational part of what Picasso said is “a lie”. Thoughts of truth bring me always astray, however this time we approached a reflection on the language of art, its use and function. In this context, evaluation is controversial, because it would be ridiculous to compare the interaction between art object and its spectator to a typical communicative situation. Traditionally, during a conversation we learn something, in contrast to standing in front of an artwork, when we can only gain awareness. Such a situation can give us only new questions and no answers. Treating a work of art as a guide, instruction or information, we are doomed to eternal wanderings. Is it not a paradox? KD: Hmm… Maybe that is a question for epistemology, and in that sense knowledge as such is not so important. Rather, what’s valuable is understanding, and in that sense the understanding of an artwork may happen outside the terms of language or expertise. To change our focus a little bit, I would like to bring up another aspect important when thinking about various concepts of value and art. Instead of an art object, let’s think about the person of the artist as a maker. KS: An artist as maker is usually considered an individual; many classical masters are talked about in terms of the artistic genius. But what does it take to create and what forms of knowledge are considered in this process? Is it only the work of art made by such a genius that is of importance? KD: I think where you are heading is a set of questions we considered when inviting artist Reinaart Vanhoe to the exhibition. 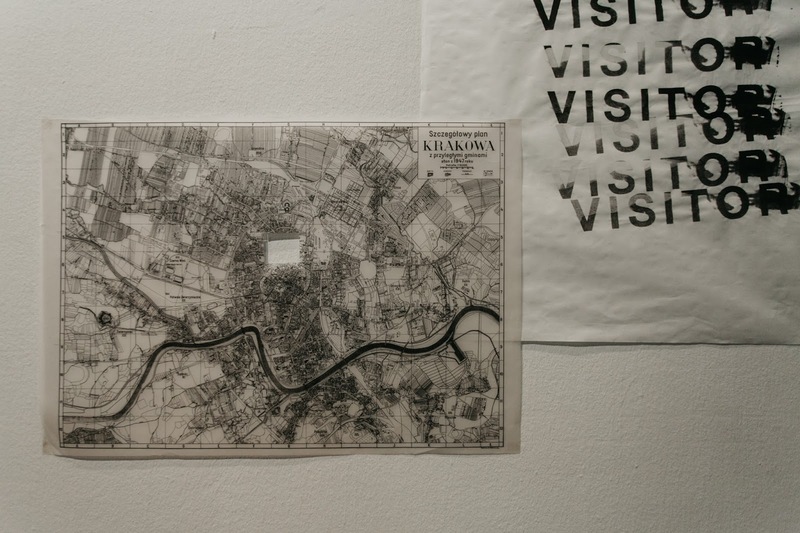 He has been engaged for a long time in the issues of collectivity and collaboration, not only among artists but also among people who are not necessarily trained in art as professionals; working together with an employee of Bunkier Sztuki, Agnieszka Tyman, they came up with the idea of initiating a certain cooperative, named Kra Kra Intelligence. KS: What is the purpose of this collective? KD: The collective involves more employees of the Gallery, and they collaborate with another cooperative, “Ogniwo” from Krakow, too. 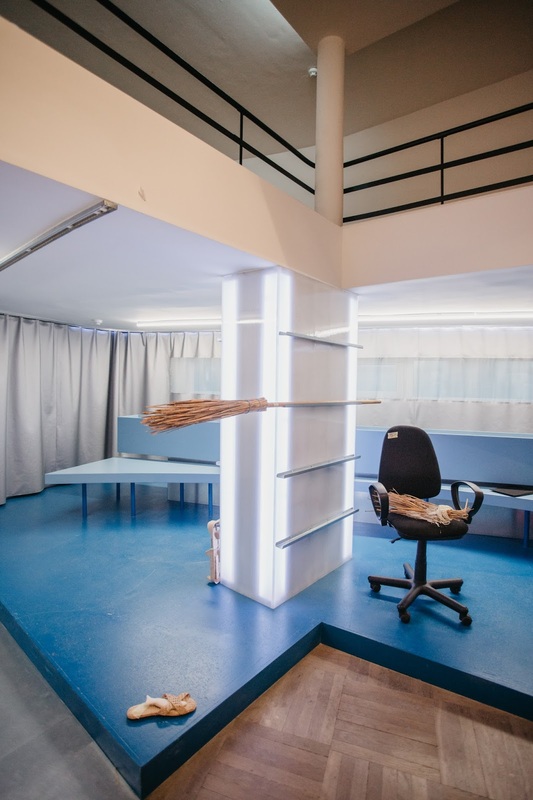 They call the outcome “Krakow receptionist art”— an art form that welcomes visitors, happens at the “front desk” of the institution, in the literal as well as the symbolic sense. “Kra Kra Intelligence” looks into what kind of knowledge there is in the institution and what sense of agency can be created through this joint process. 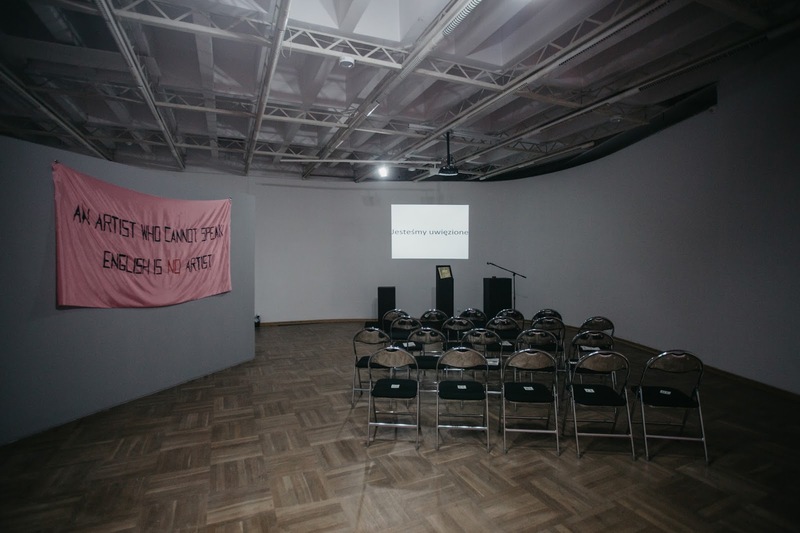 Their expanding programmes—information on actions and the “additional wing of the exhibition” located in private spaces—are announced on an info-board in front of Bunkier Sztuki. 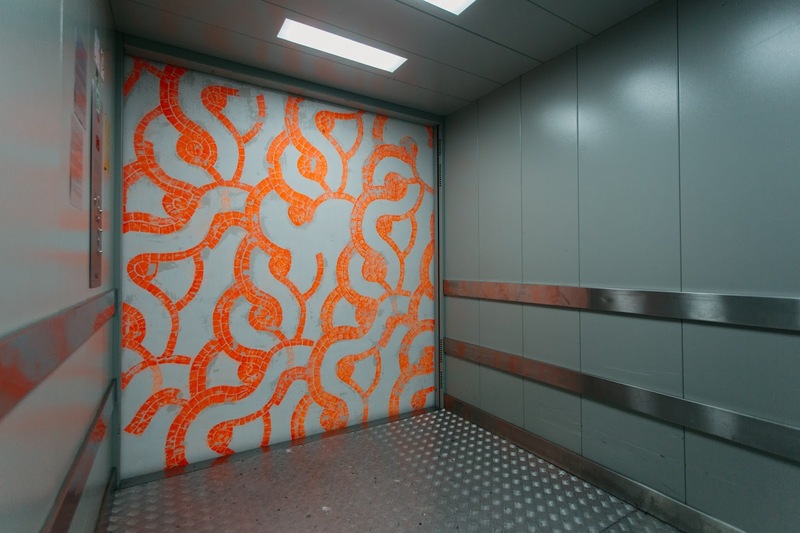 Along with this process, the cooperative also questions the idea of artistic work and what can be considered as such. KS: From certain other perspectives we could also look at some neo-avant-garde artistic practices. We have well-known examples, such as Mladen Stilinović’s piece Artist at Work from 1978: a series of photographs documenting the artist at rest. KD: He wrote a short text The Praise of Laziness where he calls for times of idleness, doing nothing. He also defined laziness as “a time of pain, a futile concentration” and called for practicing it to perfection, especially as an artist. The pragmatic might think he expressed the necessity to “do nothing” in order to make way for the flow of ideas, but what I really think he was advocating for was a genuine nothingness as a practice. Thinking about it from today’s perspective, in the hectic world we live in the most luxurious activity I can imagine is to do nothing. Can you imagine such a luxury? KS: Sure, and it’s easy to find examples in our time: the slow food or slow email movement, for instance. KD: On a different note, the title of that piece includes the word “work”. Thus, here the practice of laziness, or doing nothing, is still considered labour. 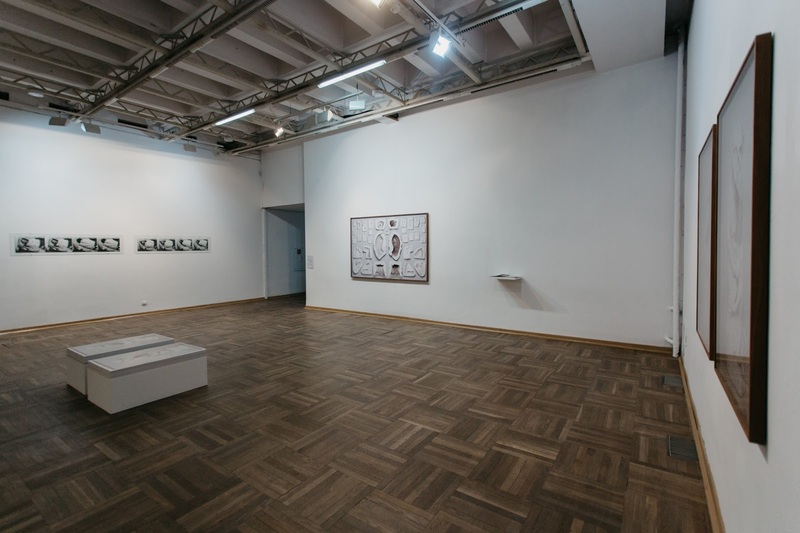 In a subversive way, I think, Stilinović expressed his concerns about the perception of artistic work in society and the way artistic labour is valued. KS: His expression is a subversive sign that is emblematic for that period. You can see similar attitudes in other attempts from that time. We have decided to give the audience a new edition of a certain artwork, an old mail art classic made by Ewa Partum: the sentence Now My Idea Is a Golden Idea (1974) pressed on the covers of an exhibition invitation. This is a connection between the immateriality of the idea and its monetary value, related to the meaning and symbolism of gold. KD: Indeed, the artist’s persona here is someone who can channel a unique experience and create a specific piece of art. The original work of Ewa Partum existed as a sentence printed on an exhibition invitation card including all the necessary information about the opening and venue. In fact the art piece was not the postcard but an immaterial concept. The only remaining copy of the exhibition invitation card is in Ewa Partum’s possession, and as the last copy it also became symbolically valuable to her, to such an extent that she would not lend it for the exhibition. Yet she agreed to the reproduction of the card. Somewhat paradoxically, with her permission we have materialised this work, which is now available to the exhibition’s visitors. 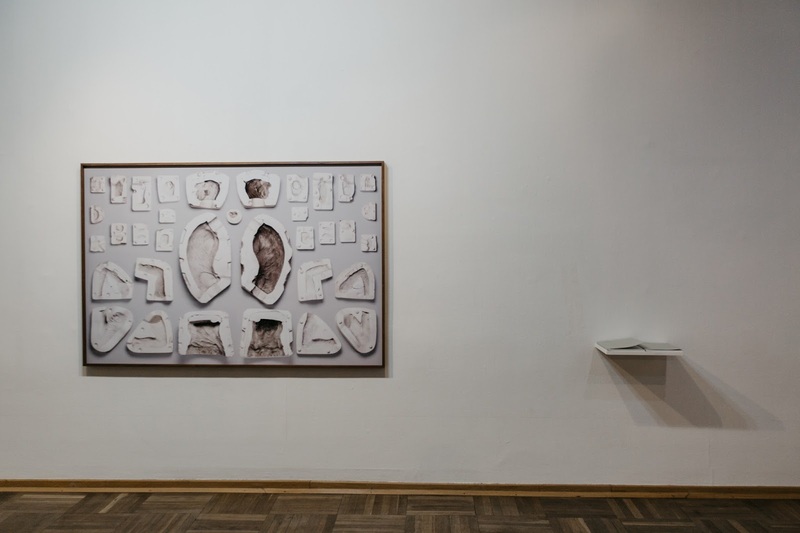 KS: That invitation is related to an interesting story from her gallery Adres in Łodź, from 1972–1977. 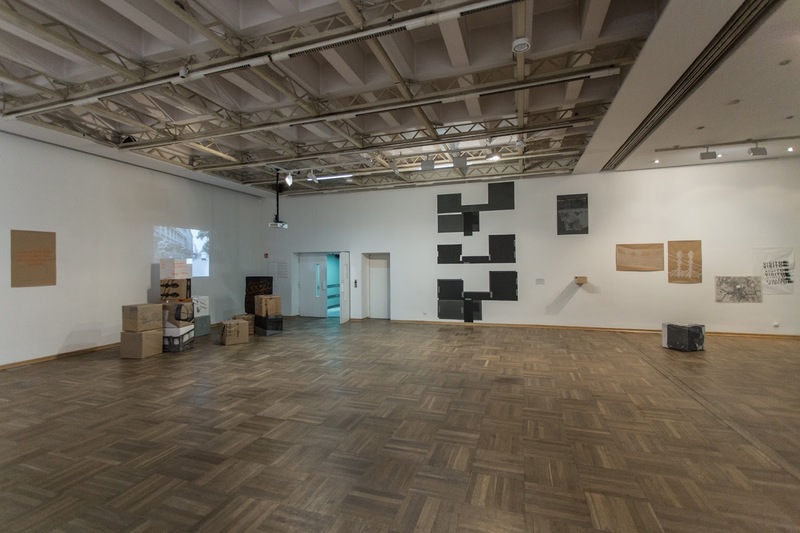 The film Documentation of the Adres Gallery (1972) included Ewa Partum into the exhibition shows as an artist, performer, animator, feminist and… avant-garde hero. 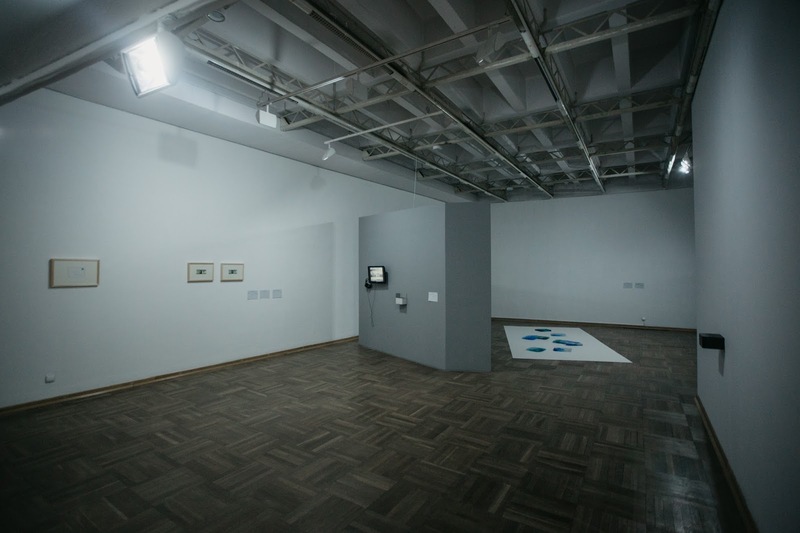 In her gallery she exhibited conceptual art and documentation of works by Fluxus artists. 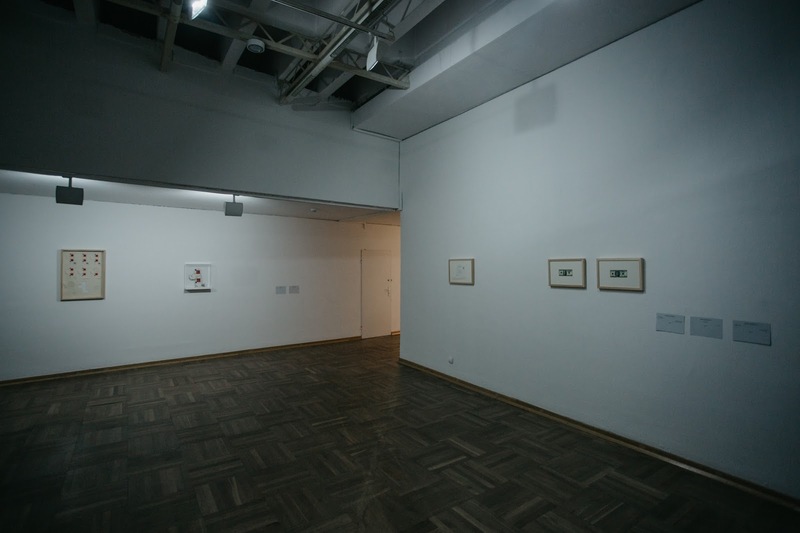 In 1975 Wiesław Borowski, a famous Polish critic, wrote an infamous text entitled Pseudoawangarda [Pseudo-avant-garde], which caused a polemic and a large row in the local art world. 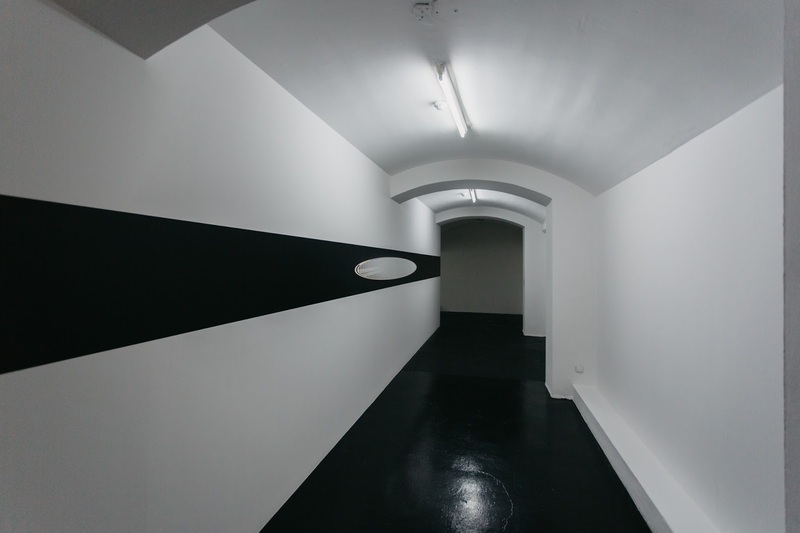 He accused Polish artists of inadvertently imitating Western standards. He used examples to illustrate the “low quality” of this movement, among them Now My Idea Is a Golden Idea. He tried to establish an anti-canon of the worst art in Poland. Yet, as time has shown, artworks from his list belong in the mainstream of the Polish art history. 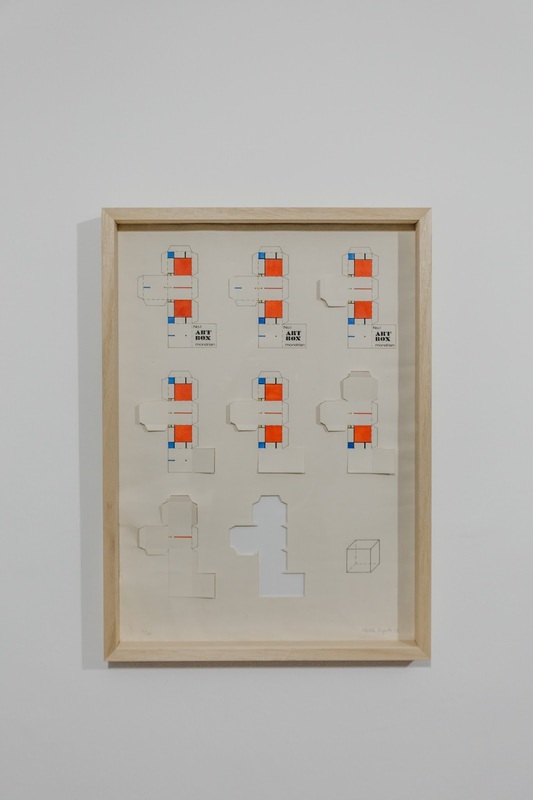 KD: Do you think Maciej Toporowicz’s artwork comes out of this tradition, Polish mail art in particular? 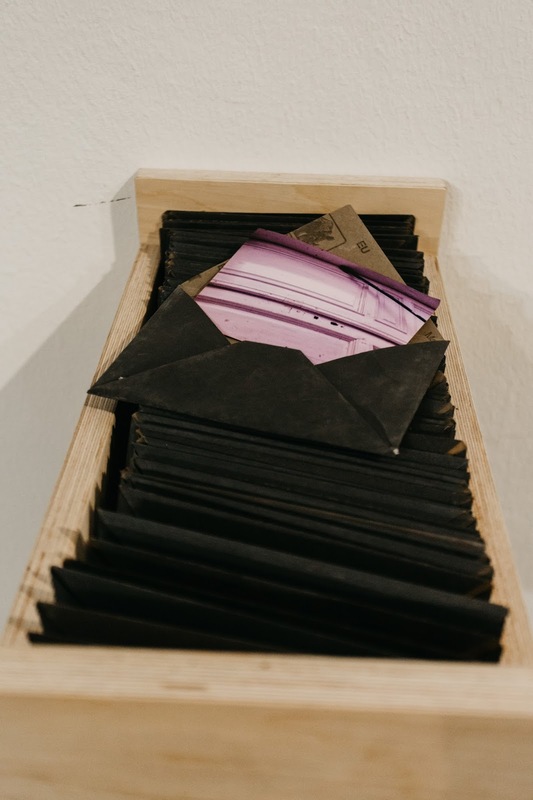 The piece titled Forza Italia is an envelope that was posted from Italy to New York in 1994, but what is specific about it is a postal stamp depicting the fascist leader Benito Mussolini. 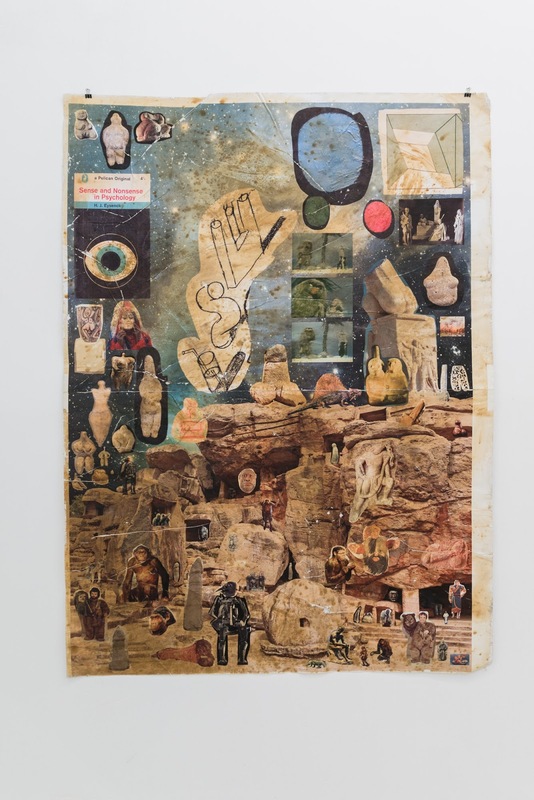 KS: His idea follows this tradition of mail art, but it’s a late example from the 1990s, and it would be good to interpret it in the context of the Italian reality of that period. It was a reaction to the situation when a far-right party came to power again. Here I see another interesting point, because creating and using a new postal stamp is an illegal activity. 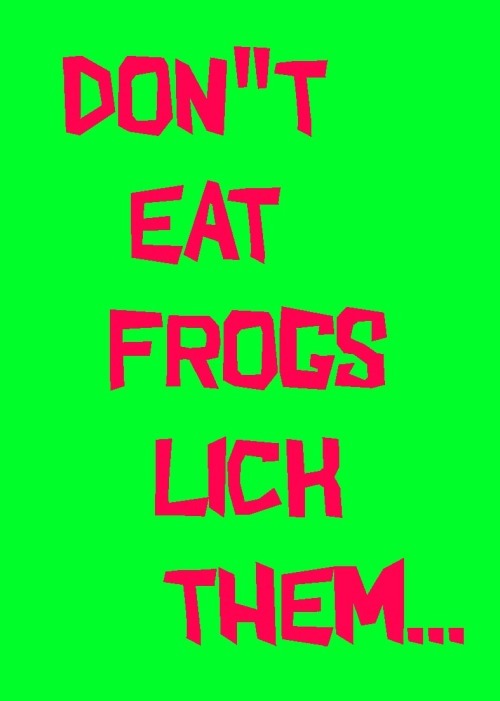 to the situation when a far-right party came to power again. KD: So the artist, again reflecting on a historically and politically significant event, is also taking a personal risk—the forgery of a postal stamp as an illegal activity. KS: The idea of a personal risk is significant nowadays when capitalism operates on the basis of individual risk. KD: Definitely! Think of how debts are accumulated and risk is taken by individuals. We are not only consumers but also risk-taking subjects, and even the products themselves in the era of late capitalism. KS: Let’s think of it this way: an artist as producer and an artwork as a product or asset and an audience as a target. 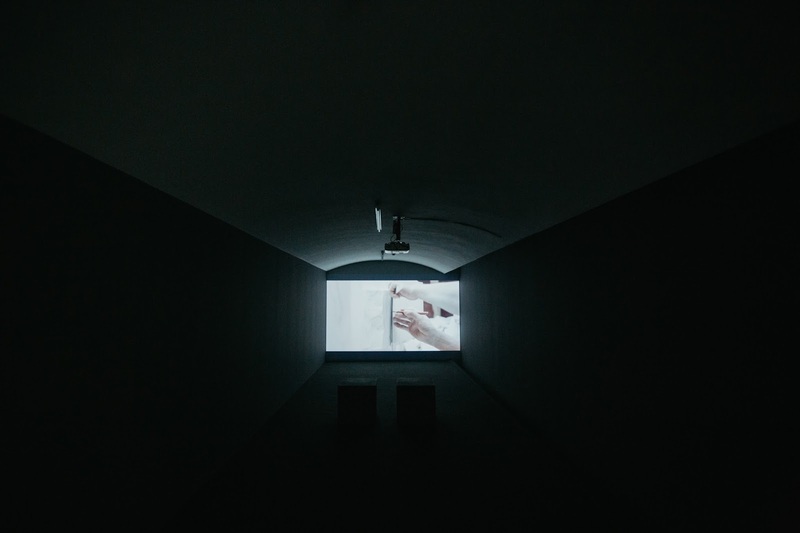 KS: Facing her installation is a video work Naturally False by Monique Hendriksen, with very seductive imagery. diagrams depict abstractions, in her words. All images and sounds in the film come from copyright-free sources and are then recomposed into a new pattern which is again radically copyrightfree. 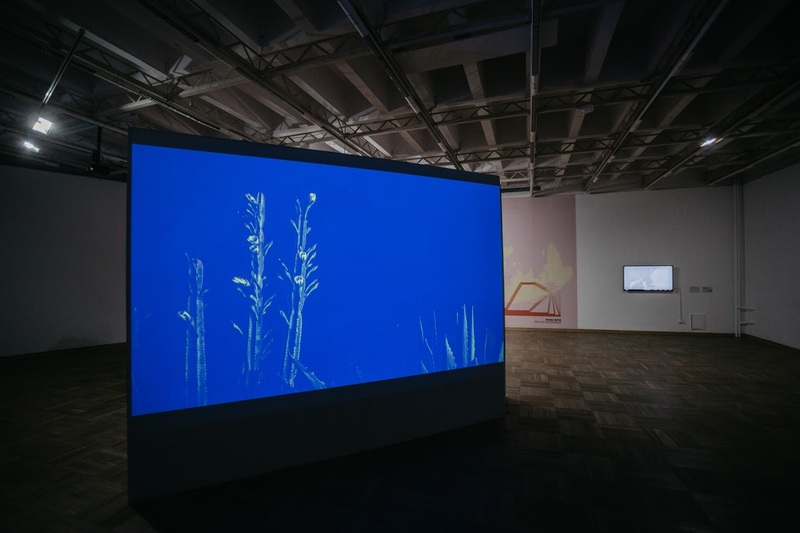 In doing so she aims at thoughts of overcoming the neoliberal myth of individualism and rationality in art. KS: As far as I understood, her work is deeply rooted in philosophy, too. KD: Yes, her work draws its inspiration from Alfred Sohn-Rethel’s theory of real abstraction, an abstraction that appears without a conscious effort, something that precedes thought. This abstraction takes place for instance when people exchange commodities and abstract their values in order to facilitate that exchange. She looks into the effects of such abstraction in our contemporary era of late capitalism. 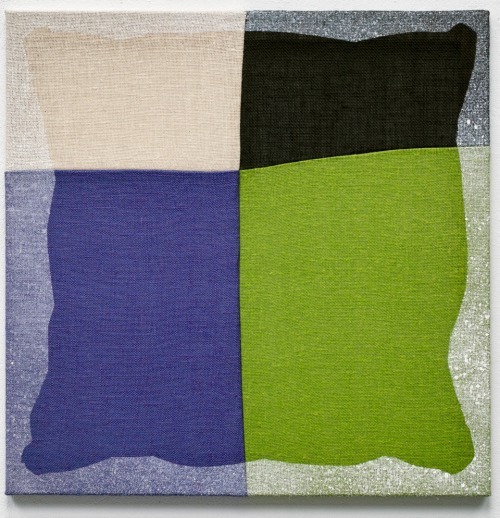 KS: It seems to me we can now pause for a moment and consider the subject of abstraction in art. Although this art phenomenon has a century-long tradition, it still succeeds in determining interesting narratives and reflections. As far as I remember Plato’s philosophy, he did not value visual art toomuch, because it was reproductive. Artists have understood abstraction in various ways since the beginning of the 20th century: they tried to express spirituality—Wassily Kandinsky, the pure sense of form—Kazimir Malevich, or created aesthetic treatises on the order of the universe—Piet Mondrian. 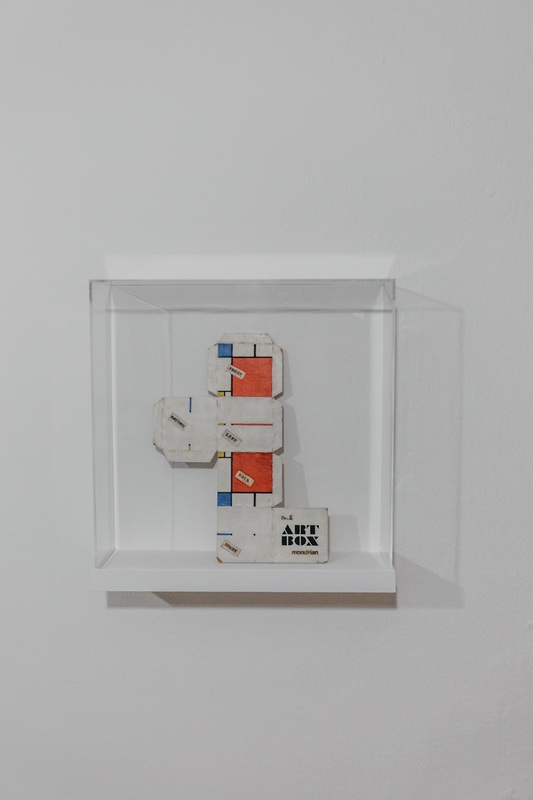 We present the work of Feliks Szyszko titled Art Box Mondrian (1972). The neoplastic composition of the image has been transformed into a net which can be made into a cube decorated with Mondrian’s characteristic colours. I am fascinated by the transformation of values in this example: the visual treatise translated into the form of a simple toy. I remember that Claes Oldenburg once compared a sculpture of Hans Arp to spilled ketchup. I think Feliks Szyszko was on a similar path. KD: When it comes to abstraction in art, I always feel that its early makers in the 20th century, like Mondrian, did not worry as much about its evaluation in their present. They felt their visions would be vindicated by the transformed future society; they truly believed that the aesthetic values they created would have an acknowledged function in everyday life. Perhaps today there is less confidence in art as a provider of utopian societal values, there’s a strong focus on the present. 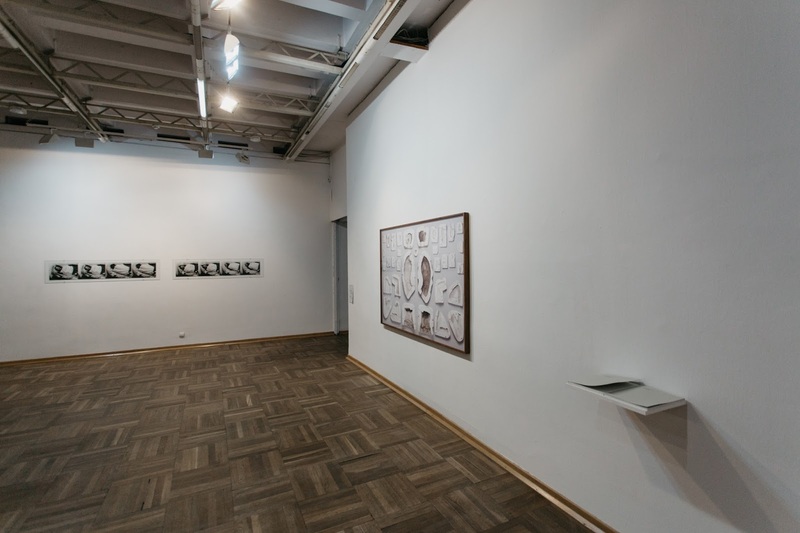 Perhaps from this presentness, another artist group featured in the exhibition, Fokus Grupa, is trying to look into future possibilities. 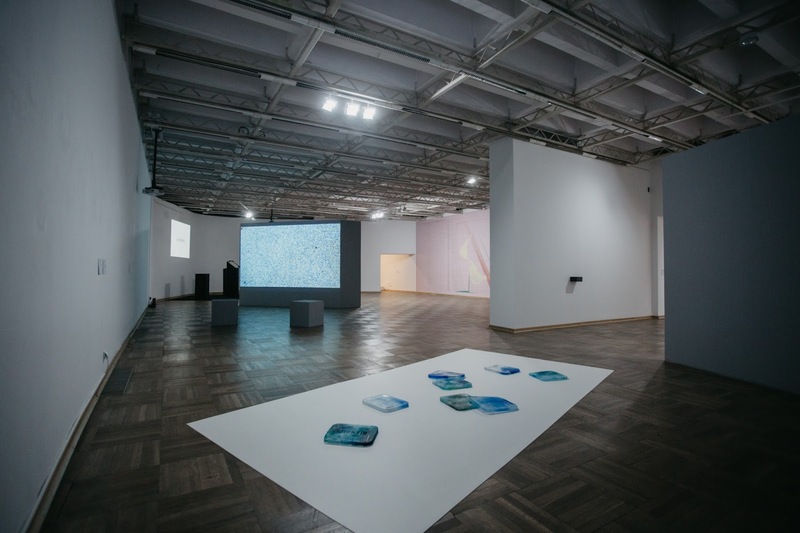 They use the tools of narration, statistical extrapolation, fiction, and their material is the system of art institutions and their relations—relations of power—in shaping this scenario. 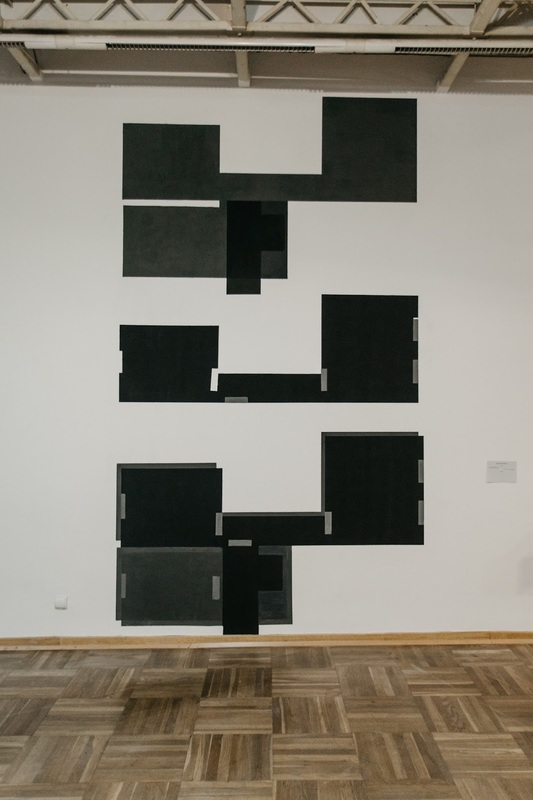 KS: They decided to make an installation, Map of Invisible Matter, about how certain institutions and their activities are involved in generating symbolic value in art. 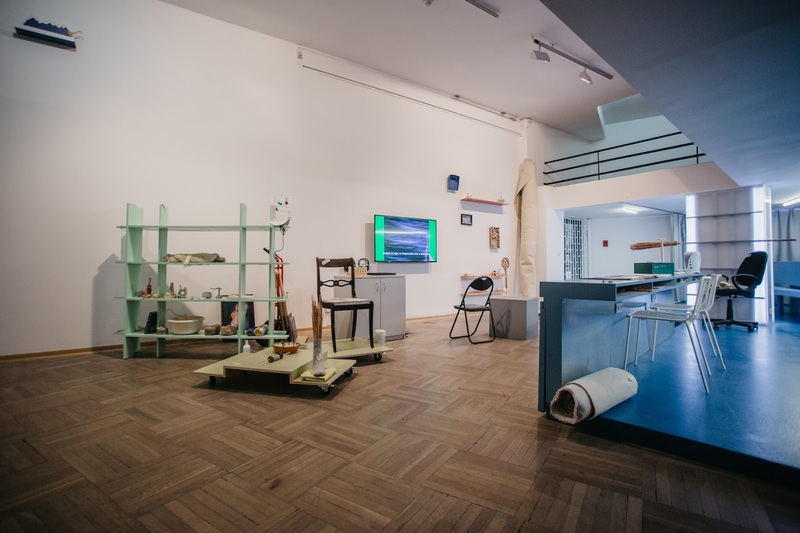 Fokus Grupa uses the e-flux client list as a source of information, focusing more on e-flux as an institution. 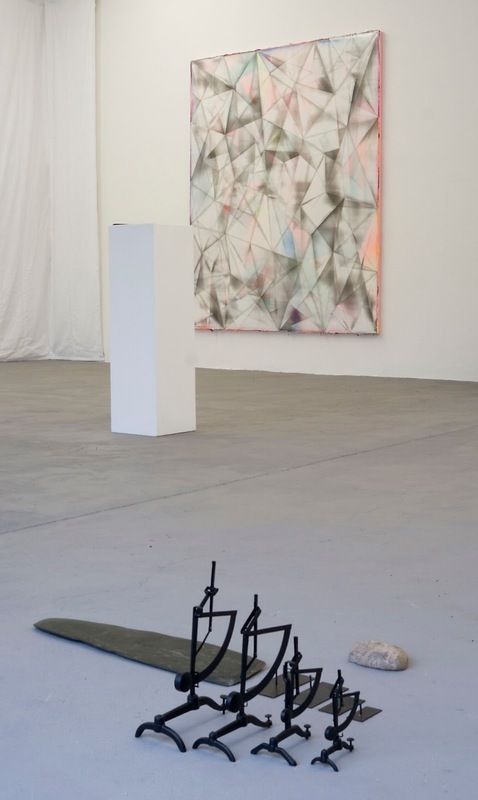 They are looking at the network of relations among different actors of the art world that have been receiving e-flux newsletters and announcements. 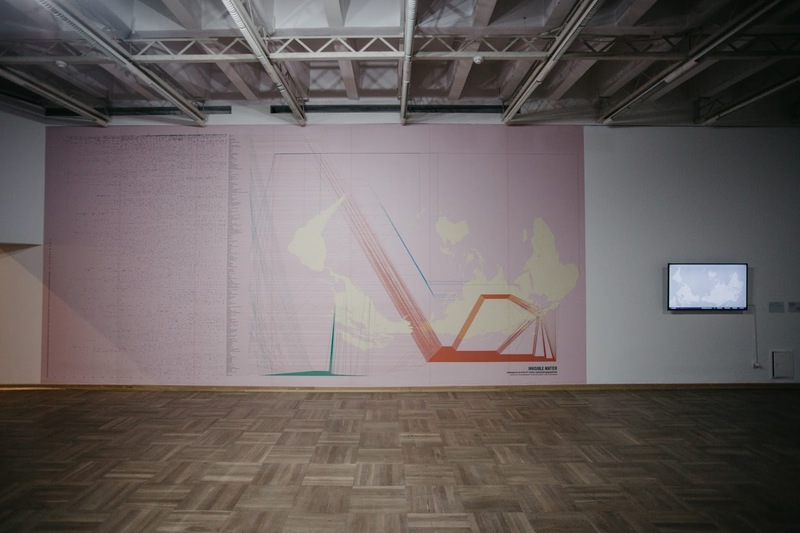 Their goal is to show the connections between actors and geographical maps. 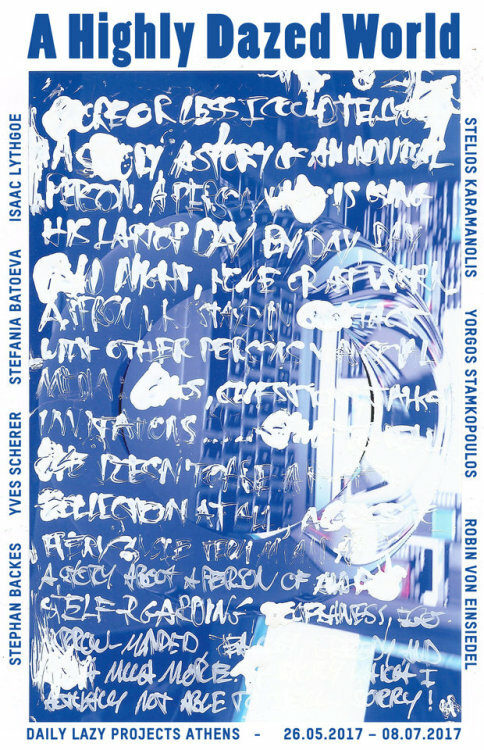 KD: Yes, the importance of e-flux as a journal, advertising platform and enterprise for the art world has grown since its foundation in the 1990s. Over the past two decades it came to dominate the flow of information such as exhibition announcements, and also the discourse of art. Fokus Grupa created an animated map of e-flux activity between 2000 and 2017, which spotlights the activities of e-flux clients and their performance. This animation is an extraction of information from an enormous database they have built, containing infrastructural, factual data on art institutions worldwide, based on their activity and participation on e-flux. Additional data and further visualisations can be accessed on the project’s website at invisiblematter.xyz. KS: You’ve mentioned the dominance of this organisation regarding the art discourse. KD: Well, yes, and it is also interesting how all e-flux announcements reinforce the power structures of language. KS: You mean the art language, the jargon of art, or one particular national language? KS: Again, Mladen Stilinović gave us a good conclusion in the beginning of the 1990s: An Artist Who Cannot Speak English is No Artist. KD: Yes, it is a very pertinent work, and we can expand it to the entire art world: interns, gallery assistants, production managers, curators, et cetera. But can you relate it to the visitors too? “A spectator who cannot speak English is no spectator”? KS: Sure. Here we can see the power structure and exclusivity of language, and the dominance of English in particular. KS: …and what’s more, it’s in Polish! 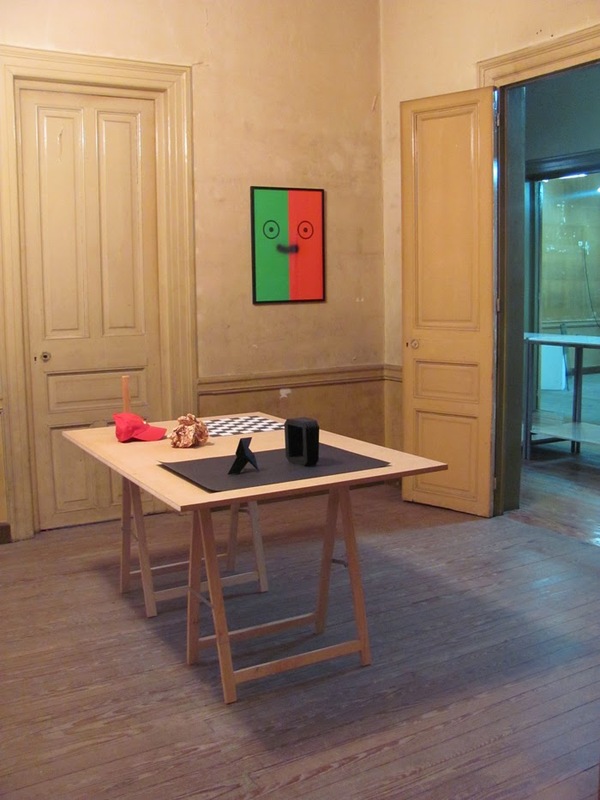 The performance revolves around found, fictional or factual narratives of art objects. The work takes the form of a classic art auction, and although an art object is indeed presented on a plinth, what can be purchased, as opposed to a conventional sale, is the story behind it. Each word of the story must be sold to willing bidders before it can be told as part of a narrative whole. The audience in attendance blindly shapes the tale, through the frame of their own consuming desires, in advance of the story being recounted. Inspired by writing and translation—for which one often gets paid per word—van Lamsweerde created a performance in which stories are sold and shared word for word. Unsold words affect the story being told. Upon purchasing a word, each of the new owners receives a certificate of authenticity stating his or her share in the story, which leads to a situation where a work of art is not owned by one but by several persons. 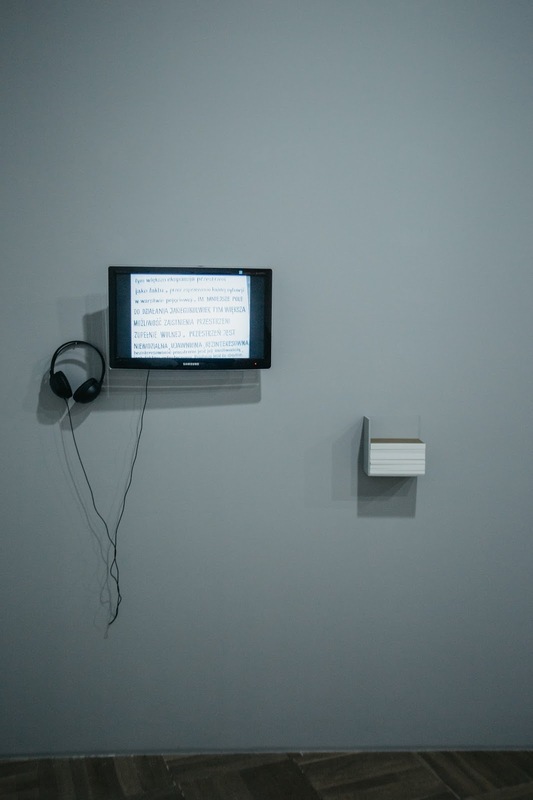 KD: In Sarah van Lamsweerde’s performance, while she makes use of a certain structure of the art system, that is an auction, language becomes commodity. 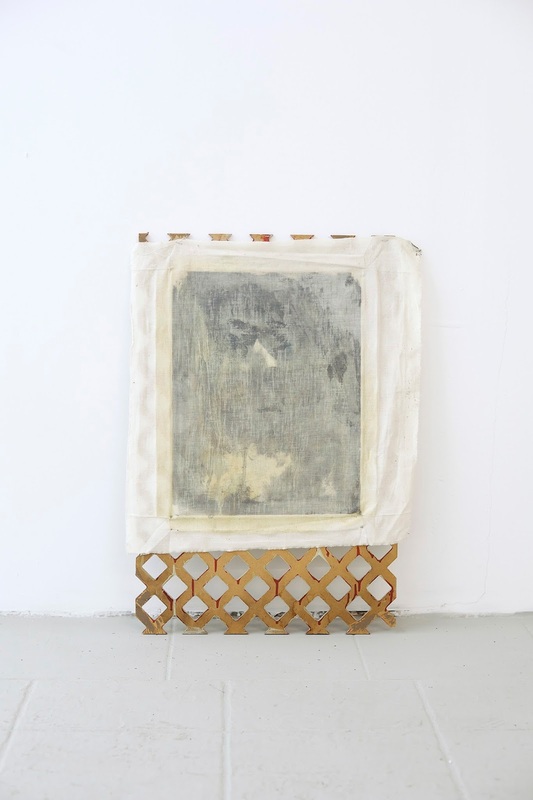 There is another type of “sale” going on at the exhibition, a project by Rachel Carey, Liquidate It All Away. 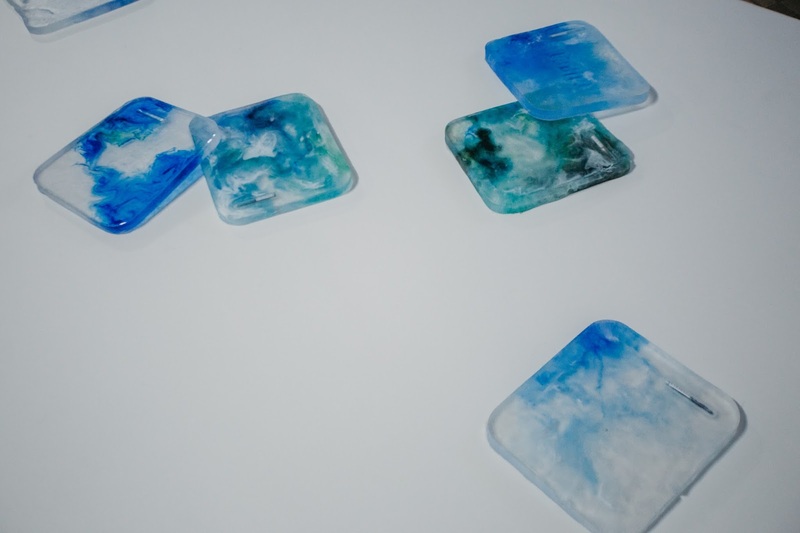 The idea of this work refers to difficult circumstances: when people lose the ability to pay off their debts and their personal belongings are being sold off for cash. 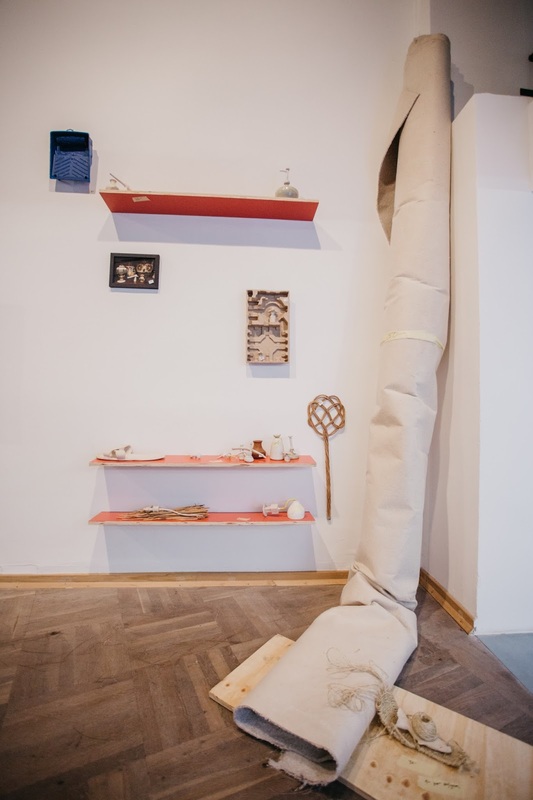 Rachel created a series of clay sculptures, often inspired by objects in possession of Bunkier Sztuki. 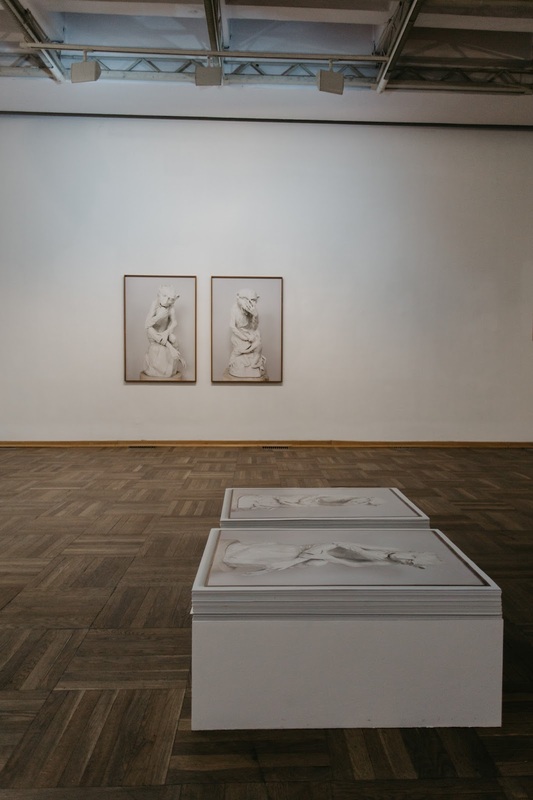 These sculptures, together with objects destined for liquidation from the institution and other items for sale, are evaluated by a professional agent. The agent prices these objects based on their use value: a clay copy of a soap dispenser may be evaluated for its material or its potential use as, for instance, a paperweight, rather than for its artistic value as a sculpture. KS: And, of course, all objects with a price tag are available to the visitors for the stated amount of money. KD: Indeed. 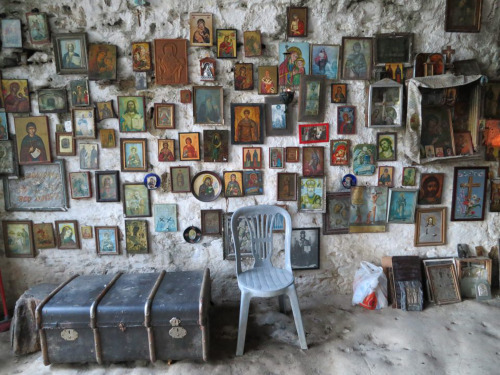 What happens here is that we get a chance to feel the difference between an object’s use value, conditioned by the evaluation process on the part of the agent, and something rather symbolic, subjective—the value we ascribe to an art object. Also, yet again, the language is important: the term liquidity does not only refer to the fluidity of water, for instance, but also to a feature of assets that are easily convertible to cash. KS: Language and narrative seems to be an important thread in our project. will likely turn to the title card of this work to see the name of the artist, and so on. What you will also read is the material of the work: sandpaper and a one euro coin. Having read this information you’ll likely arrive at the conclusion that the whirling shapes on the sandpaper-canvas were created using the coin, which ultimately dispersed, dissolved. I can reveal to you that the defaced coin is hidden inside the frame of the work. So you come closer to this artwork by understanding its materiality and as I or the title card reveal more. 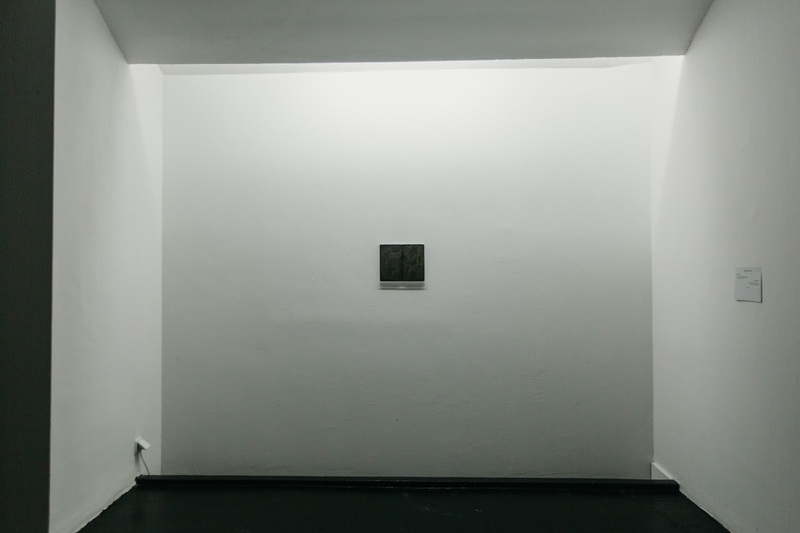 Moreover, gerlach en koop has an elusive presence throughout the exhibition. 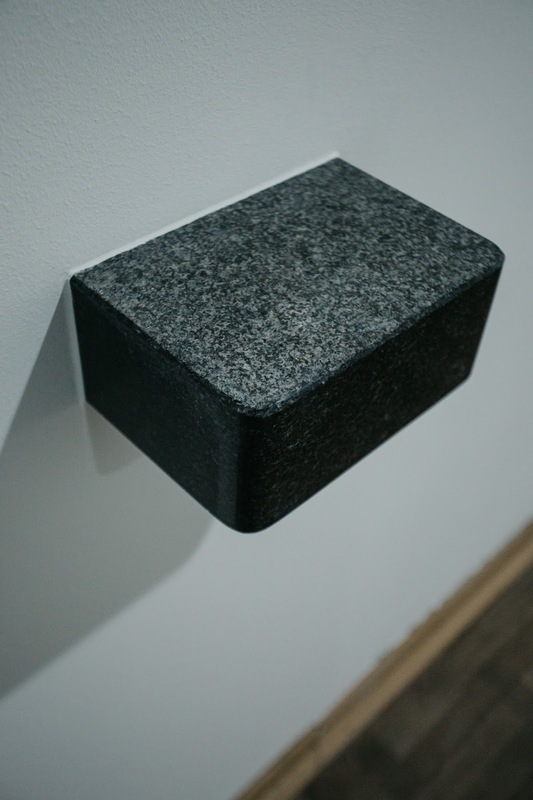 Visitors may notice two granite blocks that protrude from the gallery walls in two locations. These are socalled vide-poches, French for “empty pockets”—trays designed for collecting ones and other coins, keys, transport tickets et cetera; they are usually positioned near entrance doors, in order to keep all these small items organised. What’s more, the pair of them at the exhibition is identical to the ones found in the vaults of Generale de banque in Brussels [now part of BNP Paribas Fortis—author’s note]. Generale de banque was a bank that once belonged to the largest-ever companies in Belgium [Societe generale de Belgique—author’s note] and has an intriguing history, involving colonialism, various takeovers, share drops and government interventions. KS: I think we should devote more attention to the mechanisms of seeing. In 1967 Roland Barthes suggested in his essay The Death of Author a new way of interpreting a work of art. He gave us the tools to emancipate the spectator, he proclaimed the birth of the reader. 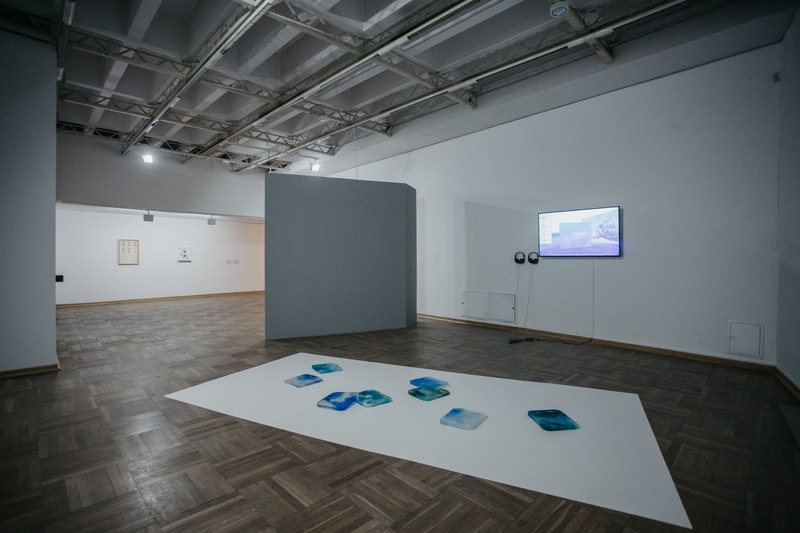 It is evident that viewers of contemporary art use mainly their sense of sight. I think that one’s ease of seeing and understanding has a direct impact on the evaluation of a given phenomenon. KD: Would that be a reason to include in this discussion a member of the famous Pictures Generation, Louise Lawler? The photographer of iconic artworks, a director of gaze, one may say. 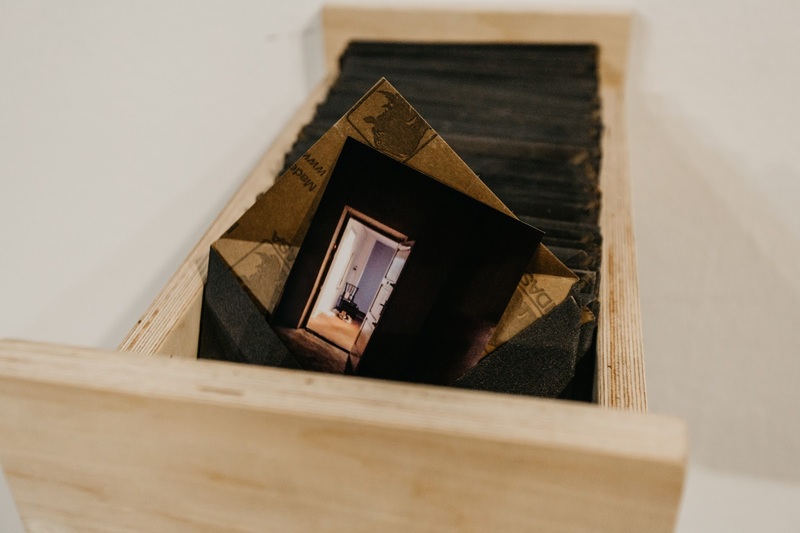 Her images depict artworks in situ: surrounded by their everyday environment, with their frames and other distortions that influence our perception of a work of art. She has been looking for such specific vantage points for the past thirty years of her activity, yet here we decided to show a piece from a recent body of work, titled Moon (Placed and Pulled), 2014/2015. This work is a tracing of an original image from her archive, entitled Moon. It looks almost like a document or a copy of the original. Moreover, the image is distorted—we can hardly recognise what we’re looking at—it is tailored for the art institution, demonstrating what a picture can do. KS: Pay attention to the part of the title of the work which is in brackets: Placed and Pulled. Digital data editing was involved, and this activity destroyed the original photography. The picture is broken! 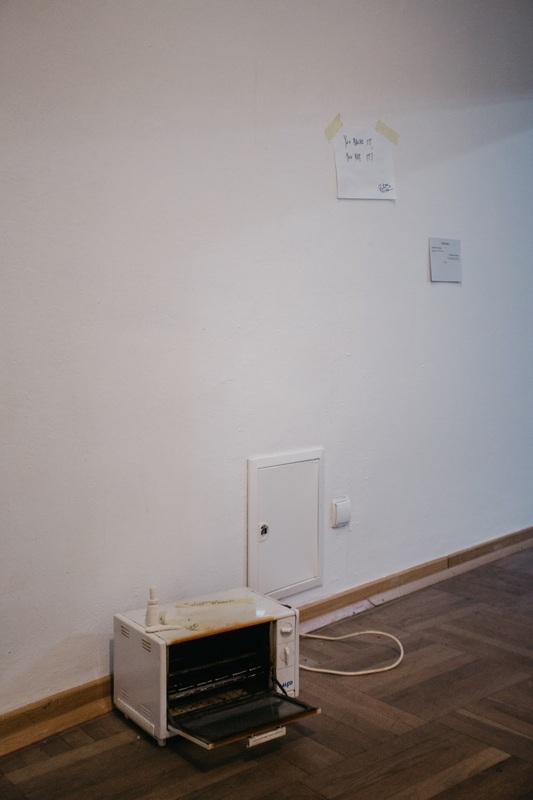 The work introduces us to another perspective on error in the era of post-internet aesthetics. Yet another aspect I would like to go back to is the labour of artists, craftsmen in the creation of an artwork, maybe also the outsourcing in artistic production. From an economic point of view, this is an important aspect that determines the value of an object. We chose to show a film by Adrian Paci titled The Column, about the production and the weeks-long transport of marble columns. I am intrigued by the use of that motif of the column. It is one of the most obvious ancient architectural features that connect us with the great civilisations of the past. The column is also an element of the ancient temple, and belongs to the sacred sphere. The column is the base for architectural construction, which has its symbolic meaning. The Corinthian column used by the artist symbolises durability, immutability, and antique elegance. I think the film is a commentary on the roots of European culture—but don’t you also see a critical analysis in it? KD: I don’t think I can sign up to saying that the work comments on the roots of European culture; it rather points at the trade relations in the globalised world: a European aesthetic model being reproduced on a Chinese cargo ship. I think the work binds together two seemingly contrasting ideas: on one hand, the need to hold on to an old standard of beauty, and on the other, the current trade routes and work conditions that make it possible. On the way, a rough piece of marble is being shred of its material surplus until a flawless column emerges out of smoke and dust in all its perfection on the European shoreline. The creation of one form requires the destruction of another. KS: In relation to this I would also like to talk about the notion of iconoclasm. First and foremost, it joins our discourse from the ancient and the Byzantine eras, when a Christian was afraid to imagine the shape of God in an artistic creation. Maybe it was one of the first manifestations of the abstract art movement, maybe I’m also naive, having studied the matter too briefly, without understanding theological writings. What determines my thinking is in fact the ambiguity of an event when an artwork is devastated. Whoever destroys an artwork inspired by some ideology or religion, wants to erase the art piece. Such an act is actually the birth of the victim, who will always remain in a privileged position within the mechanism of evaluation. We regret the destroyed works regardless of whether they were valuable or not. Maybe I should try this: is the process of destruction a form of creation? Not in a philosophical sense. I am talking about examples from contemporary art. the Protestant Reformation, I recall detailed 16th-century etchings and paintings that illustrated the acts of demolishing statues and interior decorations in churches. Coming back to your question, I’d like to give an example from the contemporary era. Do you remember, from the recent years, the videos of ISIS, or Daesh, depicting the destruction of ancient artworks and museums in today’s Iraq and Syria? They are also very well aware of this mechanism, and are using it for their own purposes. KS: You described it like a form of strategy, which is determined by the goals and oriented towards the production of certain images. Eventually the religious or philosophical reasons are translated by mass media, and it changes the scope of the impact. Here the mediation of the media makes the monument of the situation. It seems to me that each side, the destroyer as well as the victim, could use that for their own purposes. KD: One of the artists featured in our exhibition, Gert Jan Kocken, produced a series of artworks, large-scale photographs, that depict what the iconoclasm left behind in the Netherlands, Germany and Switzerland. His compelling pictures precisely point to the power of images that were created by destruction. In our exhibition we don’t have a work from that series, but the one on show is in a way related. KS: Once again we got back to the topic of artwork as monument. In that particular case, photography could be used as a means of commemoration. 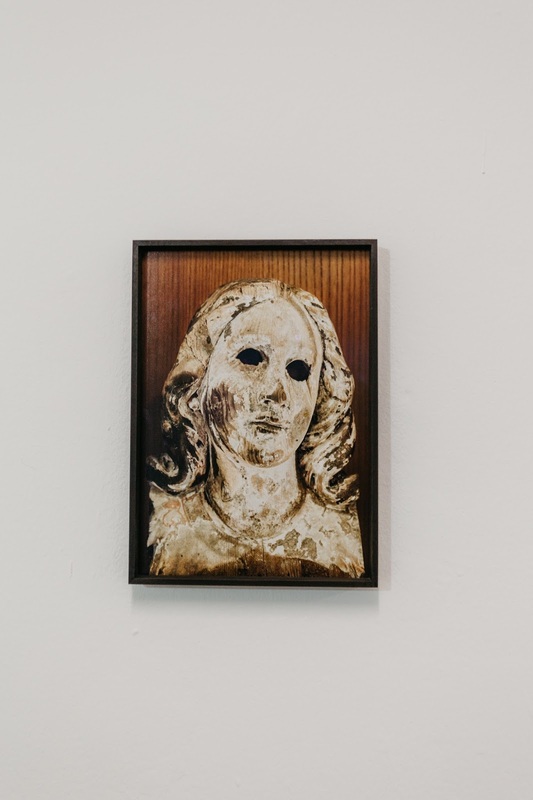 But what we decided to present is Madonna of Nagasaki, Defacement 9 August 1945: a photographic portrait of a sculpture from the Urakami Cathedral, which was destroyed in a bombing in 1945. The face of the figure was burnt, and so it acquired a new expression. The sculpture was not a target of destruction; one can say it was destroyed by chance. The artist noticed the incredible, demonic expression of the figure and documented it using photography. The destruction of this work in 1945 had been a step towards its life after death, which started when Gert Jan disclosed the photograph to us in the 21st century. Something tempts me here to quote Fyodor Dostoyevsky, who said, “true art is always contemporary”. I have no intention of wondering what true art is, but I do find in this sentence some important inspirations. It seems to me that the present value is above all a result of reflections and experiences of people of different ages. The outcome of this process cannot be fully predicted. Although the artist assumes kindness, determination and competence on the part of the audience, the value of any work seems to be shaped not quite consciously. KD: Indeed the historical significance of the Madonna sculpture contributes to the way we value this artwork. It sheds light on the tragic event of the bombing of Nagasaki in 1945 and makes a grim account of the Catholic minority in Japan—it certainly is a carrier of memory. Yet what I find stunning is the affective quality of that image. Like you said, it still speaks to us more than seventy years on, captured in that photograph. The hollow eyes of the sculpture are confronting with our own subjectivism and experiences. KS: At the very end of the show we have a delightful addition, and maybe a kind of conclusion to our trouble. 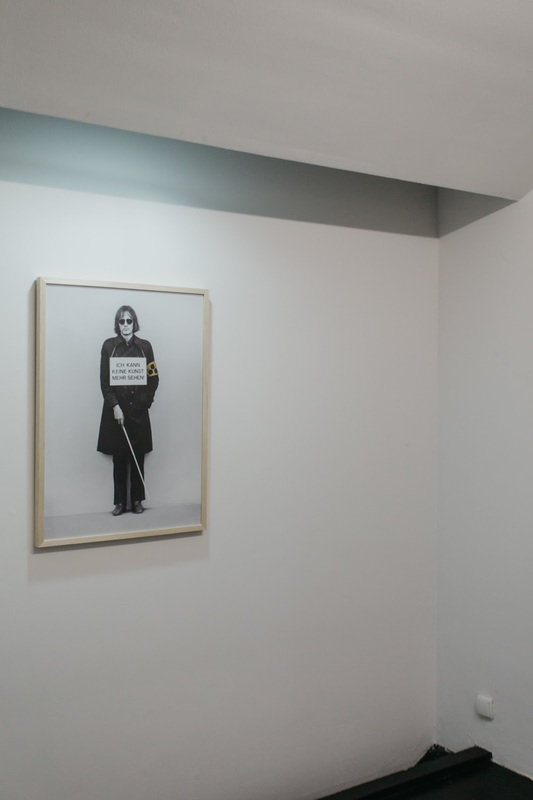 A blind man pictured, his eyes behind dark glasses, a cane in his hand, and on his chest, a sign with the following inscription: Ich kann keine Kunst mehr sehen. 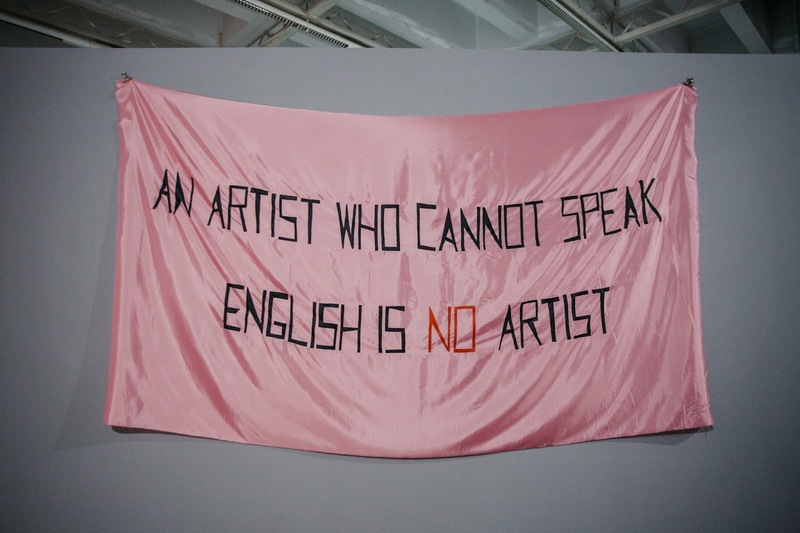 That means: “I cannot see art anymore”. 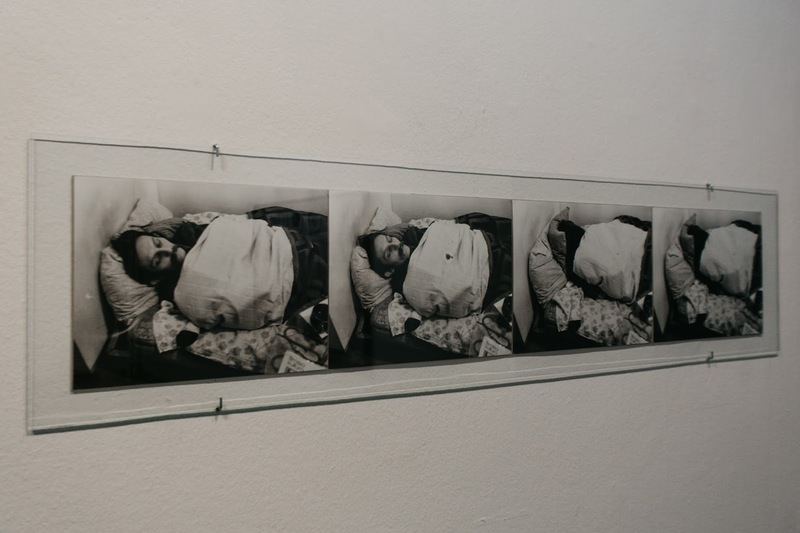 The photo is a documentation of the artist’s performance during the Cologne Art Fair in 1975. That work, for me personally, is the ultimate example for when I think that there is nothing more to say… After all, how are we to look at artworks if they are not visible, or similar to the ordinary life, or if there are too many of them to notice the good one? The poster we present is an edition of this work available for purchase at 20 euro. Each copy is signed by the artist! You can see the work, the same that we have bought for The Trouble with Value show, in the collection of photography at Fotomuseum Winterthur. Discussing an array of artworks, the curators came across some intriguing voices telling a tangled story about the symbolic and economic value a work of art holds, being a product of its creator’s labour; and there came hope that these would provide some insights into contemporary notions of value and value systems surrounding us. 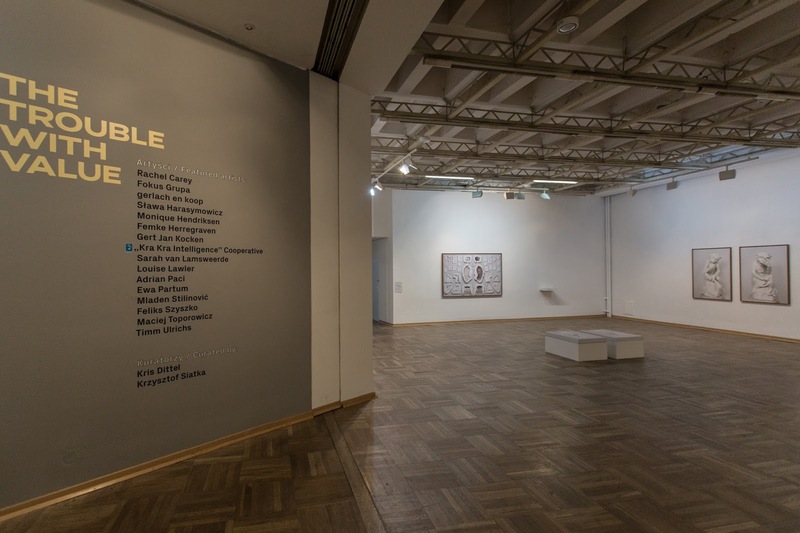 Consequently, the exhibition is an attempt to capture certain aspects of artists’ relationships with their works—ones which establish such values as well as those forging the connection between art institutions and the art market. 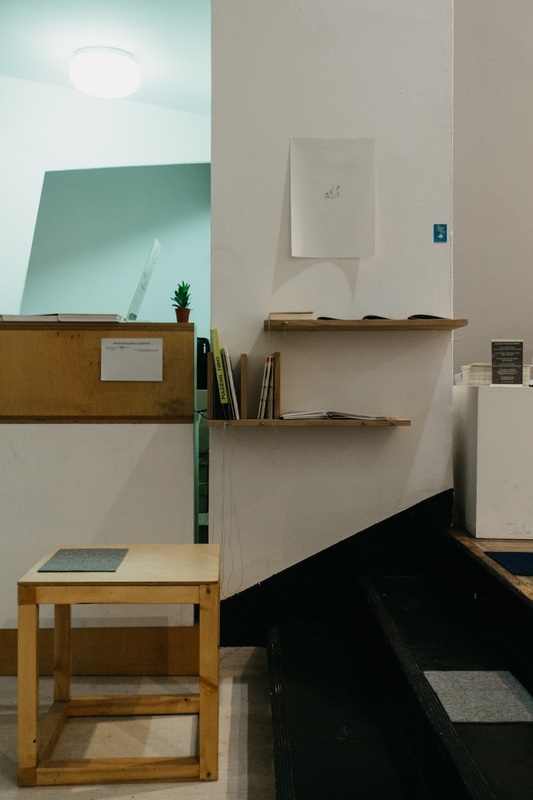 An artist’s work is subject to various assessments, expressed from the perspective of experts and dependent upon many—and often divergent—desires and needs. Among the actors of this judgemental spectacle there are curators, critics, art historians, philosophers, art dealers, and of course the public too; institutions and laws of the art market complete the disposition. The whole makes a not quite transparent set of determinants that is difficult to break down. As usual, it is much easier to reflect on the past, for a look back provides examples of views and ideologies that defined—perhaps in too simple a way, one compromised from the present point of view—values and ‘quality’ of artistic creations. This is how the canon of art developed to reach a condition when, despite continual redefinition and deconstruction, it changes steadily at the most. Well, don’t we all like tunes we already know? Critics, curators and audiences struggle with disorderly, polyphonic magma of information. That noise, although tremendously stimulating to the mind, does not always facilitate perception and the formulation of appraisals. Still, adjectives such as ‘new’, ‘original’, ‘significant’, ‘demanding’ or ‘radical’ always come in handy. 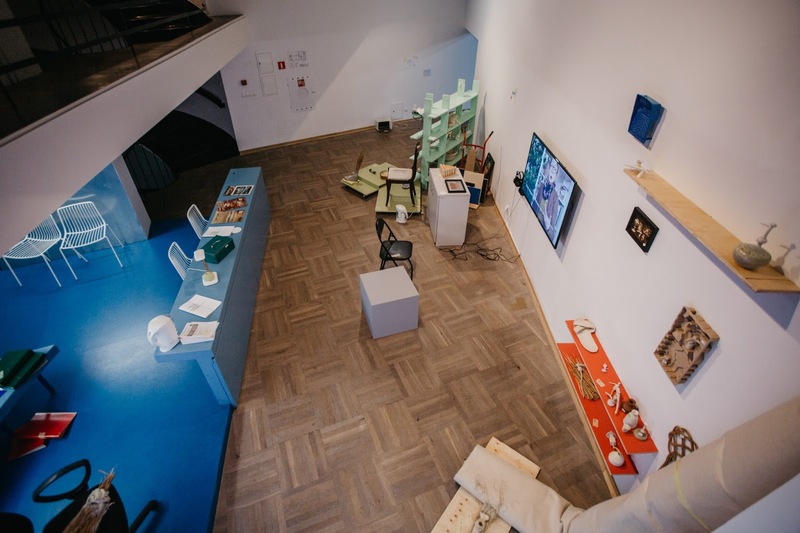 And this is where the question arises which is crucial for the exhibition: Is access to knowledge not being obstructed, and the logic of creating symbolic value not situated beyond the players’ awareness? Presence of certain logic is perceptible after all, and we struggle with its consequences every day. Perhaps it’s easier to make out merely the effects of this complicated process; its workings and dynamics are hardly ever described in a way to be considered satisfactory. It looks somewhat as if we know without understanding, look without seeing, judge without indispensable tools; as if we believe in all sorts of established judgements that never really appealed to us. To investigate the sources of an artwork’s value, the values it may create and the value systems it is subject to, in the light of the above, is an arduous task, if not simply naïve—for all methods, theories and ideologies fail. Only poets and artists can rise to the challenge and make their individual contributions by producing impressions on this matter. It is impossible to lay out the basic arguments in a one-and-only, clear and precise manner—but it is possible to single out at least several attitudes, within practices of contemporary artists, as noticeably reflecting on the difficult process of cultivating value in a work of art. One such is, without a doubt, careful consideration of the role of language in building narratives and giving works meaning so that they are either comprehensible or deliberately entropic. The presented array of approaches provides models of paradoxical situations as well, such when the outcome contradicts the aim. So it happens in the event of intentional destruction of an artwork whenever this action strengthens the viewers’ respect for the piece itself. Alike is the state of helplessness experienced when confronted with works commemorating momentous or tragic historical events, since there is no way one could separate reflection on the artwork from that on the story contained therein. 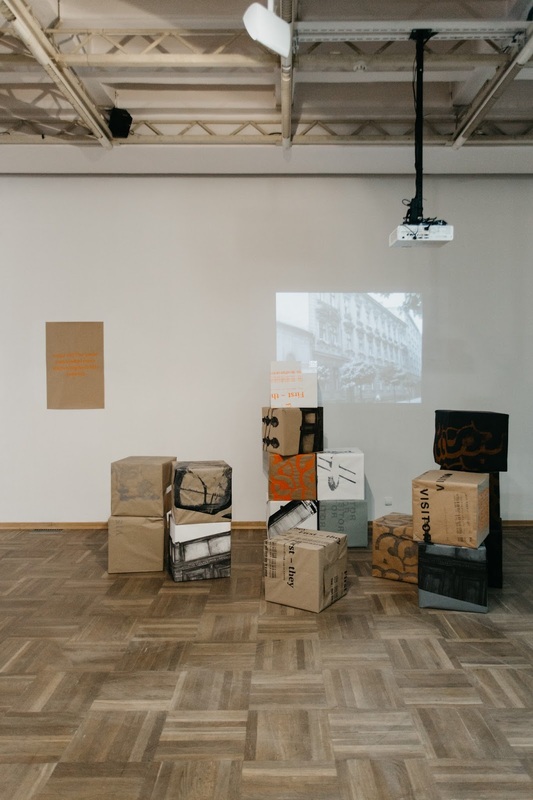 Nor is there a way to evade, considering the viewpoint adopted in the exhibition, such issues as the impact of art institutions’ infrastructure and the value of artists’ labour, which lead the account astray, far from an ideal world, straight into politics and economics of precarity. 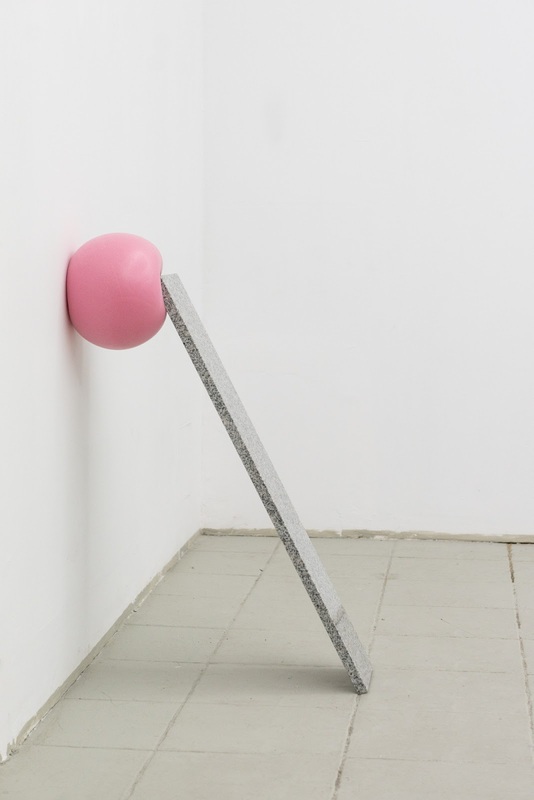 The second part of the exhibition The Trouble with Value will be presented at Onomatopee project space and publishing house in Eindhoven, in the first half of 2018.